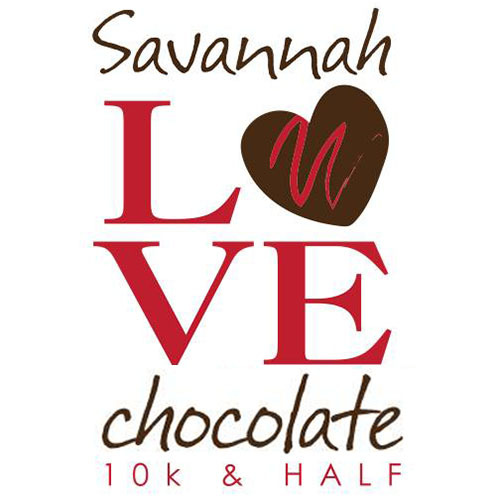 The ERS Savannah Love Chocolate Half Marathon and 10k returns on Saturday, Feb. 11, 2017 to Southbridge Savannah, 275 Southbridge Blvd. The ERS Savannah Love Chocolate Half Marathon and 10K returns on The ERS Savannah Love Chocolate Half Marathon and 10K is all about earning your chocolate. Chocolate treats from packet pickup, on the course, all the way to the finish line. Hot chocolate and coffee, fondo-style treats and our festive finish line will make this a great Valentines Day Weekend event for you. Southbridge is beautiful and the course is the favorite training area for one of our race directors. It features lakes, perfect lawns, old trees, smooth roads and sidewalks. The course is open but their is low traffic levels and the home owners are gracious. This event’s designated charity is the Cory Joseph Wilson Memorial, Inc. The foundation’s namesake, Cory Joseph Wilson, a Savannah native, died in 2013 at age 21 due to a fatal cardiac arrhythmia while in class at Georgia Southern University. There was no AED (automated external defibrillator) nearby at that time. The 501-c-3 foundation uses funds to purchase AEDs (automated external defibrillators) for facilities in need. Registration is $20-$50 depending on the date you register. Packet pick-up is at Savannah Rae’s Popcorn. Race day registration and packet pick-up begins at 7:15 a.m., closes at 8:45 a.m., and the race begins at 9 a.m. For more information about or to register, go to savannahraces.com.